The T3Soccer Elite Integrated High School Program trains your entire program using T3Soccer’s highly-detailed, system-related methodology. The primary goal of the full program is to train all teams in the same system, allowing all coaches and players to be on the “same tactical page” regardless of the team. This option allows the Varsity Coach to substantially impact all teams by systematically integrating the entire program. The T3Soccer Elite Integrated High School Program is usually run in conjunction with another local high school. Doing so sharpens the competitive environment, increasing the focus and quality of training, while allowing each school to measure progress towards tactical objectives. Multiple Head College Coaches and a highly qualified assistant staff allow us to train two or more teams at the same time while maintaining our highly individualized and specific approach. To learn more about the Elite Integrated Girls Academy happening Cocalico High School, please click here. The T3Soccer Elite Boys Camp takes our Elite Integrated High School program and delivers it into a residential setting. The Elite Boys residential program was created as an extension of our Elite Integrated camp program. Continuing with T3’s unique focus on High School soccer, the F&M boy’s residential program allows school programs from various areas to train and compete together in Lancaster. The camp is attractive both to Central PA teams looking for a competitive day camp environment and to programs near and far interested in giving their players a residential experience. To learn more, please click here. Want to get recruited by Colleges? T3Soccer’s Future 500 ID Camp offers over 50 college coaches from across the Nation – in four days – at one Location – so you can be recruited at the largest recruiting camp in America. 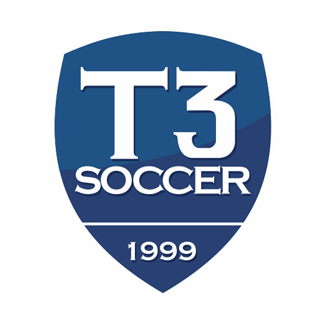 Since 1999, T3 has mentored countless HS soccer players. This is the one College ID Camp, you cannot afford to miss. Visit Future 500 ID Camp. For comprehensive college recruiting assistance and technology, visit Athlete College Advisors.